Some of the promos have expired, but there's no need to worry! The links shared are working and valid. As an entrepreneur and business owner, you’re always looking for ways to save money. I know I am! Now’s the perfect time to score some savings, thanks to deal-days like Black Friday and Cyber Monday that are just around the corner. I must confess that I’ve been holding off buying a few things for my business in hope of getting a better deal during this month! 3.12 Genesis Labs, for $1 Kartra Trial! This month I’m excited to share a huge Black Friday and Cyber Monday sale on my brand new mini course, 5 Days to Profitable Facebook Ads for Bloggers! 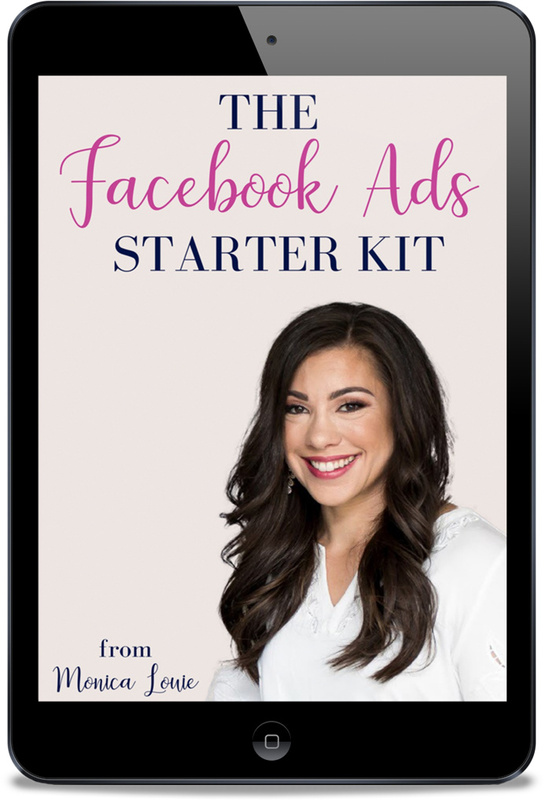 If you've been considering Facebook ads for your blog (but the investment feels too great), now is a great time to join my mini course! Click here to learn more about 5 Days to Profitable Facebook Ads for Bloggers, and use code BFCMSAVE30 to save $30 at checkout! This promotion has expired but the course is still available! Smart Passive Income founder Pat Flynn is offering a great deal on all of his courses for SPI-ber — I mean, Cyber! — Monday! Get $300 off when you preorder AMP’d Up Podcasting. This brand-new course launches in February, and it’s perfect for anyone who wants to take their existing podcast to the next level! These courses have limited access throughout the year, so this is a great time to get in! Get the Smart Podcast Player! Pat recently added the Sticky Player feature, which allows you to pin your most recent podcast episode to the top (or bottom) of your website. Get three free months on the annual plan! Click here to get started with the best courses and tools from Pat Flynn! This promotion has expired but the course is still available! ConvertKit is an email marketing platform for professional bloggers and online entrepreneurs. They are offering a brand new webinar called What Every Creator Needs to Know About Email Marketing in 2019. Click here to sign up for the live webinar! Don't forget to save your seat! ConvertKit is also offering a sweet Cyber Monday deal on the Creator Starter Kit which is geared toward beginners who are just starting their creative journey and need resources to inspire them to take action. Click here to sign up for The Creator Starter Kit! This promotion has expired but the course is still available! Michelle Schoeder-Gardner, a popular 7-figure blogger, has just launched her new course, Making Sense of Sponsored Posts. This is a step-by-step guide to creating and making money from your own successful sponsored partnership strategy! There are huge opportunities for bloggers and online influencers to successfully promote products to their audience and earn an income from partner brands and companies. Making Sense of Sponsored Posts provides you with a step-by-step strategy that shows you how to increase your sponsored partnership income and make more money blogging. Learn how Michelle made her first blogging income, and how she's now making $10,000-$20,000 a month with sponsored partnerships! You can check out everything about the course here! To celebrate the launch of this new course, you can get $40 off (the coupon code will only work on the full payment, not the monthly payment plan). This sale ends on Monday, 11/26/18 at 11:59 p.m. PT. Simply use coupon code “MAKEMONEYBLOGGING40” or click here to save $40. This promotion has expired but the course is still available! Affiliate marketing is one of the strategies I use with my clients to drive traffic using Facebook ads! This gives them the opportunity to recoup costs spend on ads as well as scale their revenue. One of my favorite courses is Making Sense of Affiliate Marketing by fellow blogger and business owner, Michelle Schroeder-Gardner! Making Sense of Affiliate Marketing is a step-by-step guide to creating and making money with a successful affiliate marketing strategy. The course explains all of the ins and outs, so you are never left wondering where to go next when creating and implementing your affiliate marketing strategy. Use coupon code BLACKFRIDAY2018CC to receive $28 off the course from Black Friday through Cyber Monday. This will make the course $169 after the discount!! Click here to save $28 during Cyber Monday! This promotion has expired but the course is still available! Do you want to grow your online community and reach more people with your message? Hosting a challenge is a great way to love up on your tribe and grow your email list. In Build Your Challenge™ from Jadah Sellner, host of the Lead with Love podcast, she shares the EXACT steps she took to grow a social media following of 420,000 Instagram followers, 315,000 Facebook fans, and 355,000 email subscribers. And of course, do it in a way that’s authentic to you! Jadah is a great friend of mine so she's offering 50% off this incredible course (which we have taken before, and love!). Just use code MONICA at checkout! Click here to buy now, through November 27th and receive a 50% discount with code: MONICA This promotion has expired but the course is still available! If you are looking to grow your brand, have more traffic and visibility and become known as an authority in your industry this is the program for you! After working in media for over 10 years, Christina Nicholson now dedicates herself to helping business owners navigate the world of mainstream media and earn more exposure. In her new Media Mentoring Program, you learn how to get exposure on the news — on TV, in magazines, popular blogs, radio shows, podcasts, massive publications, and more. With the right moves, you can become THE go-to brand that everyone talks about. This is just any media course, it’s a mentorship. We will work closely together to build the knowledge, tools, and strategies you need to create a newsworthy story the media will LOVE! At the end of the course you will be able to pitch your story to countless media outlets – TV, podcasts, online, and print – what your target audience is watching, listening to, and reading. For a limited time only, this program will be offered at half price! It normally sells for $997, but from Black Friday until Cyber Monday, you can get lifetime access for just $500. To get in at this price, simply click here and use the coupon code THANKS if it's not applied automatically. This promotion has expired but the program is still available! LeadPages is an amazing tool that you can use to generate more leads to grow your business and they are offering a FREE Holiday Hustle Masterclass! This will be a step-by-step online training to help you close out the year with a high-impact campaign. You will learn proven strategies to sell your services with a seasonal twist, plan successful marketing campaigns, and how to use the marketing automation guide. You can use these tools to host webinars, create opt-in boxes on blog posts, create landing page opt-ins, and to create thank you for subscribing pages. There are endless possibilities to promote your business, build your email list and set yourself up for success in 2019 so don’t miss out on this free training opportunity! Click here to sign up for the (free) Holiday Hustle Masterclass by Leadpages and learn what you can do to build your biz before the year is up. This promotion has expired but the course is still available! Have you been interested in using Pinterest Promoted Pins to get more traffic to your blog or more customers to your courses? Then you'll want to check out this amazing Black Friday Bundle from Redefining Mom!! Pin Practical Masterclass (normally $197) — a video-based course that includes all the most advanced strategies for leveraging free Pinterest traffic in your business, completely updated in November 2018! Pin Practical Influence (normally $127) — a 90-minute comprehensive training where you'll learn three unique strategies for making money on Pinterest with affiliate marketing. Perfect even if you don’t have your own product! Pin Practical Promotions (normally $347) — an advanced-level course on how to strategize, implement, analyze, and refine low-cost promoted pin campaigns. This course will not reopen again until late January 2019! Click here to buy the Cyber Monday Pinterest Bundle! This promotion has expired but the bundle is still available! The dream of content marketing is that it’s going to be a magical funnel that drips money into your bank account! Its lure is that it will create an inbound sales machine. But what should you do when it doesn’t work like that? Or even at all? The CEO of CoSchedule has written the book on marketing and finding your perfect formula! That’s the question this book is here to answer. It’s a formula that will show you exactly what to do (and how to do it) to achieve tenfold marketing results. This means the return you can expect will be ten times over what you put in. Check out the 10X Marketing Formula Book for 30% off! This promotion has expired but the book is still available! Upgrade to Business Booster, and get the ultimate business marketing package for just $99 a year! In addition to the awesome WiseStamp email signature! This deal expires on Cyber Monday at midnight, so click here to upgrade! This promotion has expired but the software is still available! This course almost sounds too good to be true…it’s The Ultimate Formula for Making Six Figures from Your Blog With Digital Products and Services, Without Being Scammy or Spending Thousands on Start-up Costs – Guaranteed. Looking at student testimonials shows that if you are willing to put in the work, A. LOT. OF. WORK., you can get to that six-figure mark. The course has nine modules that are packed with information including foundations, frameworks, funnels, digital products, email systems and soooo much more! Join me there… I just signed up! Get 25% Off Black Friday through Cyber Monday! The discount should already be applied at checkout if you click any of the above links but if it isn't, enter the coupon code “BLACKFRIDAYSALE2018” at checkout to activate the discount! Click here to enroll in Six Figure Blogger! This promotion has expired but the course is still available! All courses from Create and Go are 25% OFF through Cyber Monday!! Click here to check out their entire list of courses! They also have a Pro Blogger Bundle that is an amazing DEAL — offering over 40% off the total course price when you buy the package deal (all four courses in one discounted bundle)! Launch Your Blog – Learn how to build and launch your blog, including WordPress tutorials, designing your blog with a theme, setting up your first email list, and more! Make Money Blogging for Beginners – Learn how to begin driving traffic to your blog and how to make your first $1,000+/month through affiliate marketing and other awesomesauce strategies! Pinterest Traffic Avalanche – Learn how to drive massive traffic to your blog and how to use strategies to increase clicks to your blog, grow your email list, and more! Six-Figure Blogger – Learn how to create your own digital products and services (eBooks and eCourses), create sales funnels to sell your products, create high-converting sales pages, and everything you need to know to take your blog to six-figures! Pro Blogger Bundle – A bundle of all four signature courses outlined above at a huge discount! It includes all of the steps that you need to go from building and launching your blog to earning six-figures with your blog! Not sure which course is for you? Click here to check out their entire list of courses, or purchase their Pro Blogger Bundle to save BIG! This promotion has expired but the bundle is still available! Gravity Forms is an easy to use WordPress plugin that enables you to create powerful forms for use on your WordPress website or integrated into other programs like email. Originally it was used for contact forms but now is more widely used to gather a variety of information. You can forms as part of a blog post, as a calculator, for surveys, employment applications and more. 30% off all new Basic licenses. 40% off all new Pro licenses. 50% off all new Elite licenses. The sale starts On November 23rd at 12:00am PST and ends at 11:59pm PST. Any purchases on the site will be able to receive the discount automatically. Click here to check out Gravity Forms! This promotion has expired but the software is still available! Forget traditional blogging courses, Blogger U courses will actually help you grow your audience and profits! 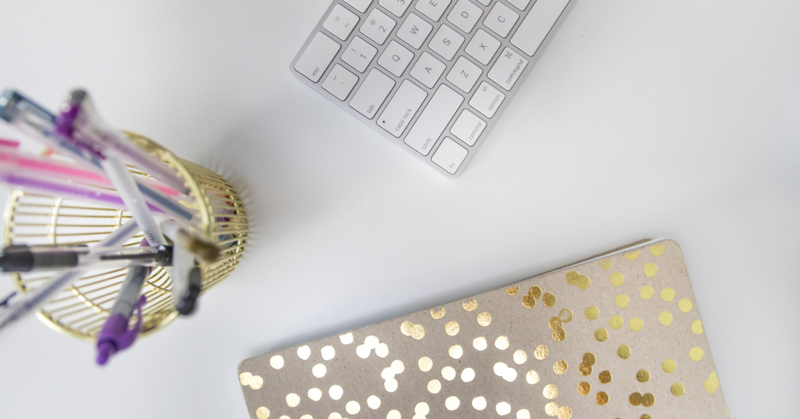 Created by full-time blogger Pete McPherson, a student of Flourish and fellow blogger, these courses offer hyper-specific courses by topic and skill level so you only have to pay for what you need. Plus, they have a rock-solid support community filled with blogging friends to help you take your blog to the next level!! Plus they have course bundles so you can get it all and any future updates! Take your blog to the next level with Blogger U! Starting Cyber Monday all courses and bundles will be 40% off! This is a limited time deal and ends Thursday, November 29th at 11:59 ET so don’t miss out. Click here to get 40% Blogger U Courses and Bundles! This promotion has expired but the course is still available! Get 10% off per month with iMark Interactive’s monthly WordPress support services! If you need help with website maintenance and tech issues, you’ll want to check out Grayson Bell. Use coupon code: BLACKFRIDAY10 at checkout to save 10% each month! This deals starts on November 19th and goes through November 26th. Click here to save monthly on WordPress and website support packages! This promotion has expired but the program is still available! Get the best online training and services for content publishers, affiliate marketers, SEOs and digital entrepreneurs all in one place. They also create ready-made and custom-built websites. Whether you need help with creating an affiliate site, generating content, upleveling your SEO with strategic keyword research or technical assistance, they can help! Hundreds of site owners have already sworn by their services and this Friday they're offering some big discounts and bonuses. 47% off the “Human Proof Method”, their flagship training and 500+ private community. Plus, 10% off their content services… Forever! Check out the MASSIVE Black Friday Sale here! This promotion has expired but the training is still available! If you've been thinking about upgrading to Pretty Links Pro then you have an unprecedented opportunity to get it for the lowest price we've ever offered (and it's unlikely it will ever be this low again). This offer expires on November 28th, so take advantage of this special opportunity now! When you take advantage of this Black Friday Promotion, you get more than just 60% off in the first year — you'll be locked in at this discounted price forever. This is a huge savings! Use code BF2018 at checkout so save up to 60% this year! Click here to get Pretty Links Pro! This promotion has expired but the software is still available! From now until Tuesday, November 27th at midnight, subscribe to Proof to help convert your leads online! Proof is perfect for online businesses who get 5,000 or more visitors to their site per month, generate their leads and sales online, and may be SaaS companies or who sell digital products such as courses and memberships. What's the special offer? Start a free 14-day trial to Proof and Annual Plans save 50% on their first year, monthly plans save 25% on their first year. Click here to start your free trial today! This promotion has expired but the software is still available! Are you ready to turn your knowledge into a course, and share your knowledge with your audience? Teachable is the tool I use for my own courses, and it makes setting up your course SUPER easy. Now through Cyber Monday, get started with Teachable, save $240 and get over $5,000 worth of bonuses to help you make your course a success! Click here to create your first course on Teachable! This promotion has expired but the course is still available! If you have ever considered buying our plugin or courses, now is the time! In this Black Friday sale, you get a 30% discount on ALL plugins and courses at Yoast. It’s their biggest discount ever! Click here to get 30% off on all Yoast plugins and courses! This promotion has expired but the software is still available! Are you still trying to figure out how to hit your first five-figure month? This course will teach you how to create and sell a high ticket course so you can hit that mark! Normally this course is $197, however, you can get it for $77 starting Black Friday through Cyber Monday by using code BLKFRIDAY. Click here to sign up for the High Ticket Coaching Starter Kit and start earning full-time income as a coach. This promotion has expired but the course is still available! This program was designed by my friend and client Dr. Shannon Irvine. She is an entrepreneur, High Achievement Mentor, host of the Epic Success Podcast and has a PhD. in Neuropsychology. Her powerhouse training program aligns with the way your brain is wired to help you finally achieve your goals. The step-by-step program will help you set your 2019 goals using Epic Success templates and processes that have been proven to work. Learn to focus on the goals that will get you closer to your dream life. Set epic goals that build towards achieving the business and life that you’ve been wanting. Break your goals down in easy to manage, bite-sized steps so that you don’t have to feel overwhelmed and confused anymore. Click here to get the Goal Setting Academy at a DEEP discount only during the Black Friday & Cyber Monday Flash sale! You can also get the Productivity Powerhouse Workshop for 84% off during Black Friday through Cyber Monday! Learn how to wire your brain for maximum efficiency in this incredible, brain-hacking 5-day Productivity workshop. I know I could use an extra 2-3 hours per day! This promotion has expired but the course is still available! There are many benefits to having a beautiful home and workspace. Studies have shown that decorating the spaces you live and work in will energize you, allow you to be more productive, and inspire creativity. My client, Donna Hoffman, is an interior designer with over 14 years of decorating experience and the creator of Design CPR. With Design CPR you learn skills and strategies to transform your spaces that you are proud of and enjoy. Have a holiday home you love and a nest to make 2019 your best year! Donna will show you how to accessorize any space like a Design Boss, share her 3-Step Room Perfecting Formula and show you how to transform any room using things you already own. For a limited time, you can get this course for over 40% off! Click here for all the details. This promotion has expired but the course is still available! This course will teach out how to effectively manage your CSS, how to tweak it, and how to style your own theme. It's self-guided and you get access to industry veterans that have been using and working in WordPress for nearly 15 years. When you're done with the course, you will understand CSS and have a better grasp on what it takes to change it and style elements the way you want them. It’s a pretty powerful feeling to be able to make the changes you want on your site and that’s what this course will help you do. Click here to sign up and get 25% the course through November 26th with the code BLACKFRIDAY25. This promotion has expired but the course is still available! If are interested in starting an online business, and have considered becoming a virtual assistant, now is the time to buy Kayla Sloan’s $10K VA course! You’ll learn everything you need to know about becoming a VA, and get the skills you need to ditch your day job and start a new career working for yourself – from your own home! Her prices go up after Cyber Monday, so this weekend is your last chance to take advantage of current pricing. No code necessary, just click here to buy the course, and get started today! This promotion has expired but the course is still available! Natalie Bacon’s courses are officially on sale! Save 40% on all three courses! This is a BIG discount on her three signature courses, and this is the ONLY time of year that this deal will be available! How do you save? Use coupon code BLACKFRIDAY40 before midnight EST on Cyber Monday. Act fast, because this deal is ending soon! Click here to find the perfect course for you! This promotion has expired but the course is still available! If you're interested in learning how to start a profitable ecommerce business, Steve Chou’s Create A Profitable Online Store Course is the most comprehensive class out there that offers 24/7 email support and weekly live office hours. So if you’re ready to take the leap, now is the time to join. These prices go up in December! Click here to join and get this bundle at a huge discount! This promotion has expired but the course is still available! All Money Lab products are 20% off right now and ONLY until Monday, November 26th, 2018! So why not? Click here to start saving on these awesome deals! This promotion has expired but the course is still available! Are you thinking about writing an Ebook? This course will help you accomplish your creative vision! Imagine yourself working from your favorite coffee shop or mountain resort, selling your published book and earning passive income. Michelle Jackson walks you through all the steps from start to finish including choosing your niche, developing your mindset, writing the content to publishing and marketing. You can save $75 on her Ebook courses November 23rd through November 27th with coupon code: Holiday18. Click here to learn more about how to Make Money with Ebooks.This promotion has expired but the ebook is still available! Denise Duffield-Thomas is closing enrollment to her Money Bootcamp course after Tuesday! Release your money blocks, and go into 2019 with a clean slate. If you’ve been wanting to join for a while, now’s your chance! Jump in now and save $500 off your enrollment and join Denise’s amazing community. Finish out the year with a powerful shift in your money mindset! Click Here to Join Money Bootcamp! (Last chance this year!) This promotion has expired but the course is still available! For the next 36 hrs get up to 30% off Virtual Pass packages from FinCon University. This compelling online content teaches you to create, promote and profit. This is a great time to ensure you have all of the great content produced by the FinCon Community. You can get resources from 2016, 2017, & 2018…get it all! Click here for the Virtual Pass Bundle (2016, 2017, and 2018) for only $249! Click through to see the different discounts being offered and treat yourself to the best education from your FinCon peers. This promotion has expired but the course is still available! Genesis Labs, for $1 Kartra Trial! Seriously, this is an amazing bargain all by itself. You could spend over $1600 for all the training at Genesis Labs. Or, you could get 30 days of Kartra for ONE. DOLLAR. And get all of the content in Genesis Labs for free. Get 30 Days of Kartra PLUS Gensis Labs For $1! This promotion has expired but the course is still available! AppSumo Plus: Save even more when you sign up for AppSumo Plus! For $99 per year, you will receive 10% off your AppSumo purchases*, and gain access to KingSumo Giveaways Pro! Cancel anytime! Click here to sign up for AppSumo Plus! The Excel Mastery Bundle: wear that new Excel knowledge proudly with custom-fitted learning tailored to you. $39 Lifetime Access — Normally $751.00! Easily learn business-relevant Excel skills in a thorough nine-course bundle for all experience levels, filter course content to your current knowledge and desired mastery level and test your progress with quizzes, and keep the knowledge coming with free weekly webinars taught by an experienced IT trainer. Click here to take your Excel game to the next level! Plug & Paid: e-commerce made easy with a mighty shopping cart from Plug & Paid. $49 Lifetime Access — Normally $500.00! Create unlimited shopping carts for your website—or your client's website—with just a few clicks and a tiny bit of code, add digital or physical products, services, and subscriptions with all major payment methods supported, and get live metrics and sale data so you can be at your peak e-commerce game. Best for: Website owners looking to monetize without external storefronts or expensive fees. Click here to get Plug & Paid! Active Chat: Build your own chatbot without years of programming knowledge, and take your customer support to the next level! $49 for Lifetime Access — Normally $1,188.00! Create chatbots in minutes with ActiveChat’s simple conversation platform and ready-to-use templates, teach your bot practical skills like answering customer questions, making appointments, and online shopping, and pull user chat logs and numbers from your bot to improve functionality. Best for: Customer support, small businesses, and e-commerce shop owners. Click here to take advantage of this sweet deal from AppSumo! Covve: Strengthen your business relationships with a state-of-the-art contact app! Get breaking news affecting your contacts from an AI-powered News Engine, upload contacts with a simple business card scan, categorize and tag contacts, and get automatic reminders to follow up, and build your network by leveraging current contacts. Best for: Maintaining and creating professional relationships. This deal won't last long, so click here to find out more! AccuRanker: Get better, faster SEO data with optimized keyword rank tracking with AccuRanker! $39 Lifetime Access — Normally $948.00! See fresh and accurate site data on a user-friendly interface, find out what your site needs to climb the rankings, manage multiple domains, automate reports, and integrate with other important tools. Best for: Anyone who wants better SEM and SEO data. Click here to take your SEO data to the next level! Visitor Analytics: A sleek and streamlined interface delivering user-friendly analytics. Get clean and simplified analytics info like visitor stats and peak traffic times, measure successful conversions by setting specific conversion pages, and pinpoint traffic increases from affiliate referrals and URL campaigns. Best for: Untangling complicated site analytics and getting the scoop on your visitors. Get lifetime access to this software for $49 — Normally $143.64! Deposit Photos: Grab this AppSumo deal before it’s gone! It expires on Monday, November 26th at midnight! Get 100 premium vector or stock photo downloads for just $49 — Normally $500.00! Gain access to a library of 80 million high-quality and royalty-free stock photos and vector images. Give your site and content a refresh with gorgeous images. Use Depositphotos images for social media posts, digital ads, eBook covers, and any other commercial project! Best for: Bloggers, Digital Advertisers, Web Designers, and Agencies. Click here to save big with AppSumo and get 100 images for just $49! This promotion has expired, but the software is still available! This is a unique marketing and lead generation tool that allows you to drive traffic, generate leads and customers from any links you share. TagOn allows you to retarget and interact with your audience on any links even if they aren’t on your website. It helps drive more traffic to your website by building and sharing your call-to-action on external links. The program is easy to use, customizable, compatible with other scripts, and has trackable statistics. Use code TAGONFRIDAY2018 at check out to get 50% off on all TagOn plans! Click here to get 50% all TagOn plans Black Friday through Cyber Monday. This promotion has expired but the software is still available! Looking for stable, reliable hosting for your website? Siteground is the web hosting service I use for my blog and for my course website! You still have time to refer your friends and win amazing prizes! For your first 5 referrals, you get a branded backpack. If you have friends, customers, or business partners who struggle with their web hosts, now is the time to invite them to join SiteGround! Remember, your friends need to sign up through your unique referral link before Dec 31st. During their Black Friday and Cyber Monday sale you’ll get 75% OFF savings on all annual shared hosting plans between November 23 – 26, 2018. Click here learn more about website hosting with SiteGround. This promotion has expired but the software is still available! Find the perfect stock photos, vectors and more! iStock by Getty Images is one of the world's leading stock content marketplaces, with millions of bold and unique images and prices to meet any budget. Expand your video library with exciting outdoor footage or B-roll clips from iStock's Adventure HD Video Clips. Utilize an array of templates for an upcoming event, new business cards or an email campaign. Find the perfect graphics or illustration in iStock's Templates collection. Command the attention of your own site users, stand out by featuring one of iStock's Animated video clips. 10% off Credits for Everyone with promo code ISTOCK10. 15% off Annual Subscriptions for New Customers with promo code NEWANNUAL15. Click here to start building your image library and save! Both offers expire 03/31/19. Video is a great way to share content with your audience. We suggest using Vimeo because it’s the highest quality, fastest loading, most reliable HTML5 video player in the world. Plus it’s super easy to use! With Vimeo you can collaborate, stay organized, reach your audience, and get paid. Customize Your Video. Change colors to match your brand or vision, add your logo, choose the perfect thumbnail, remove the play bar, add speed controls, and more. Embed it anywhere. Add a video to your site, blog, or anywhere around the web without writing a single line of code. Built-in engagement. Grow your audience with custom end screens, guide viewers with calls-to-action, interact with video cards and generate leads with email capture. Please note that the promotion is available from 12/11/18 – 1/31/19! Save 10% on these annual subscriptions! Save 10% on Vimeo Plus, PRO, Business or Premium Annual Subscriptions! Use code: FILM10VIM. Ends 01/31/19. Click here to get in on this deal! Now through November 30th, Adobe is offering a plethora of deals on their Creative Cloud products! Deals start at 25% off, and can go up to 70% off! Check out the Creative Cloud products, and grab the deal that’s right for you! This promotion has expired, but the software is still available! Social Warfare Plugins is offering a special discount on Cyber Monday only! The coupon will only be active on Monday from 12:00am EST to 11:59pm EST. If you use WordPress for your website, this is an offer you can’t pass up! Click here to buy this deal! This promotion has expired but the software is still available! Start your business online for just $2.65/month! There’s no code to get the deal, just click here to get online for 60% off! This promotion has expired but the software is still available! Drip is an E-commerce CRM designed for building personal and profitable relationships with your customers at scale. I use it for my business to create custom emails and to design automated workflows so I'm always in touch with my audience! I've found Drip to be easy to use with fast and responsive support when you need it. It's got a beautiful interface, intuitive design, and the powerful features I need as I scale up my business. For Black Friday and Cyber Monday, they are offering their longest free trial of the year! Sign up now and your free trial will last until the end of 2018! Click here to sign up for your FREE trial now! This promotion has expired but the software is still available! Kick off 2019 with fresh new design assets with Creative Market's December Big Bundle. 76 handpicked products at 96% off. You'll get $1,169 worth of design goods for only $39! All bundle items come with Creative Market's Standard License. Click here to take advantage of this limited-time offer! This promotion has expired but the software is still available! Treasure My Future Conferences are creating a movement to bring financial literacy back into student's lives by incorporating the wealth of financial knowledge and information that is available and transforming it into a fun and exciting FREE event for students to learn these much-needed skills. Their mission is to help guide others with these same beliefs by providing an opportunity for them to successfully accomplish their goals. When you purchase a conference package you get Treasure My Future logos, design, marketing and a registration process for your event. The process is streamlined so it’s easy for you to hold a conference in your community. Click here to sign up for the Enhanced Conference Package and save $150. This promotion has expired but the course is still available! Joseph Hogue, who has worked for almost a decade as an equity analyst for venture capital and private wealth clients, wants to help you better understand investing and reach your financial goals. He has created a comprehensive investing course so you can develop a strategy specifically around your financial goals and learn how to manage your money. This will help you save thousands in fees and avoid the worst mistakes investors make. This course is perfect for anyone that wants to stop worrying about whether they’ll have enough money for retirement or other financial goals. The course is now open for enrollment and is 60% off from November 23rd through November 26th. It usually costs $349 but you only pay $140! Click here to sign up for Simple, Stress-Free Investing for Life! This promotion has expired but the course is still available! Become a Financial B.O.S.S. (Building On Success Secrets): The ULTIMATE Guide to Take Charge of Your Finances! The Financial B.O.S.S. Toolkit is jam-packed with ebooks and video courses to help you with credit, saving, budgeting, investing and more! The Financial B.O.S.S. Toolkit brings together 20 products worth over $1500 to help level up your finances, for a limited-time investment of $197 until November 27th! Click here to take charge of your finances with the Financial B.O.S.S. Tool Kit! This promotion has expired but the course is still available! If you need help making your money awesome, check out Chris Peach's Awesome Money Course! You can get started learning how to save more money, pay off debt faster, and build wealth for your future for just $107. This course comes with a 30-day money back guarantee so there’s no risk for you to start getting your financial life in order as a new year rolls around. Click here to get started for just $107! This promotion has expired but the course is still available! Design a money plan that fits your life with the Real Life Money Plan for just $49! Learning to manage your money well will open up a whole world of freedom to you. How to establish financial goals so you can start making your money work for you. How to develop a budget and how to stick to it. Develop a plan of attack for killing off the debt monster. Finally get clear on what your financial picture and future looks like. Click here to check out the Real Life Money Plan! This promotion has expired but the course is still available! If you are on a budget – or working your budget to meet your financial goals – freezer meal planning is a killer way to save and eat well at the same time! Pick up your membership for 20% off with code PEACE at check out! Click here to get your freezer filled! This promotion has expired but the course is still available! I bagged one best Black Friday deal so far on PureVPN. 5 years plan for just $79 means only 1.32 per month. I can’t compare this worthy deal with other providers. Hi Monica, I am in the SH Nation group and saw your post. I am a Benefits Consultant with Ameriplan. We provide an alternative dental and medical plan for $39.95 a month for the entire household. No Black Friday special because that’s our rate all the time. This could help a lot of entrepreneurs who can’t afford traditional insurance. You can can go to my link to see http://twagner.savewithdiscounthealthcare.com . You can also write me with questions.